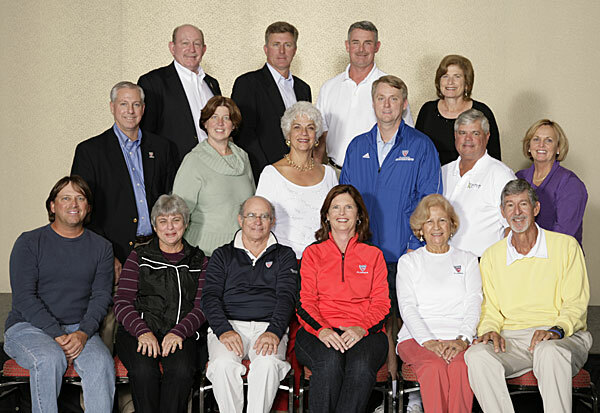 The USTA Florida Nominating Committee is now accepting online applications for the 2015-2016 term for tennis volunteers to serve the USTA Florida Section. The USTA Florida Nominating Committee is responsible for interviewing candidates and compiling the slate of nominees for the USTA Florida Board of Directors, which are subject to confirmation by the section delegates. The incoming USTA Florida president appoints all Florida committee volunteers in August 2014 for the following two-year term. It is a goal of the USTA Florida Nominating Committee to conduct interviews with as many of the applicants as possible. 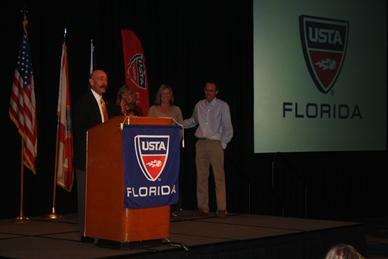 "We can't spell success without 'U,' so please apply," says USTA Florida Nominating Committee Chair Nancy Horowitz. The deadline for submitting an application for the next term is Aug. 23, 2013. Following the close of deadline, the first group of interviews will be held in Tampa in September 2013. The second group of interviews will be held during the USTA Florida Annual Meeting and Tennis Celebration Weekend on Dec. 6-8, 2013. The 2015-16 term will begins at the December 2014 Annual Meeting. Please note that the USTA Florida Nominating Committee does not appoint volunteers to any national committee of the USTA. Members of the USTA Florida Nominating Committee are Nancy Horowitz, chair; Pat Anderson, Bruce Boiko, Donn Davis, and JoAnn Zirpoli. For more detailed information, or to view or submit an application, go to www.florida.usta.com/Volunteers/usta_florida_nominating_committee. The 2013 USTA Florida community tennis awards, recognizing the top tennis volunteers, players and organizations in Florida, will be presented at the USTA Florida Annual Meeting and Tennis Celebration, held Dec. 7-8, 2013. All nominations must be submitted on the official nomination form by midnight of Friday, July 12, 2013. "No nominations will be accepted after July 12, so go online now, and don't let that special Florida volunteer or organization go unrecognized," said USTA Florida staffer and Awards Committee liaison Lynne Salus. To see last year's USTA Florida award winners with video presentations for major awards, go to: http://www.florida.usta.com/news/top_tennis_volunteers_honored_at_2012_usta_florida_awards_weekend111/. To nominate an individual or organization go to www.research.net/s/2013AwardsNominationForm. For award questions, please email JoAnn Zirpoli at penn2@aol.com. by Allen Fox, Ph.D., excerpt from the book "Tennis: Winning the Mental Match"
When you feel good, you are apt to play well; conversely, when you feel bad, you are likely to play poorly. Sport psychologists talk about the need to control emotion on court, but what they mean by this is not simply suppressing emotions (like anger or depression). They refer instead to an optimum strategy by which players not only rid themselves of negative emotions but also to create positive ones. As an example of the power of emotion to affect athletic performance, consider the issue of home court advantage, which is mostly an emotional advantage. In the major professional sports leagues the home teams had the following winning percentages: baseball -- 53% (1991-2002), hockey -- 55% (1998-2003), football -- 58% (2001-2005), and basketball -- 61% (2001-2006). Many explanations have been offered including variations in days of rest, sleep, travel-fatigue, etc., but the most important factors seem to be largely emotional -- familiarity with the playing field or court and the influence of the crowd. This is supported by noting that in the NBA the winning percentages for the home teams are usually greatest in the playoffs, where the crowds are larger and louder than they are during the regular season. These effects are obviously mostly psychological, since the size of the court, the height of the basket, and the bounce of the ball are the same as they were during the regular season, and are basically the same from arena to arena. The screaming support of the home fans effects the player's emotions and helps the home team play better and the visitors play worse. During tennis competition, as with the other sports, positive emotions help but do not guarantee good play. This fact tends to confuse players, because they often find that they still lose matches even after disciplining their emotions positively and well. So they start to think emotional control has no value. And they are dead wrong! Habits, repetitions, and our strokes: Our strokes are controlled by sequences of muscle memories that are programmed into the nervous system through repetition in practice. The more correct repetitions, the more accurate the programming and the more likely the stroke is to function properly in competition. Optimal tactical responses to an opponent's shots during play are also programmed into our nervous systems by reward and punishment during past competition. For example, when we hit the right shot and win the point and, in the same situation, hit the wrong shot and lose the point, our nervous systems record this information and use it later to improve shot selection. Eventually the strokes and immediate tactical responses are no longer under conscious control in matches. They function by habit and come out too quickly for conscious thought. Of course at the conscious level we need to have game plans and remain sensitive to how well they are working in order to make effective adjustments, but this is all superimposed upon the set of basic programmed habits and responses that function below the level of conscious thought. Now for the punch line: these habits and programmed responses are substantially affected by strong emotion. They are disrupted by negative emotions (and negative thought processes that ultimately produce negative emotions) like anger, depression, fear, and pessimism. On the other hand, they are helped by positive emotions (and positive thought processes that ultimately produce positive emotions) like optimism, controlled aggression, feelings of confidence, strength and courage, and optimal levels of arousal. Even when the effects are small they often make the difference between victory and defeat. Don't let your emotions be controlled by what is happening on court. In competition, the top pros spend most of their time between points striving to eliminate negative emotions and create positive ones. This requires an emotional plan and the discipline to implement it regardless of negative events that may occur during match play. The less-successful players allow their emotions to be determined by what is happening on court. This is an unstable and circular situation in that their emotions are controlled by events (which are out of their control) rather than by themselves. Here bad play produces bad emotions which in turn produce further bad play. The trick in maximizing performance and reducing its variability is for the player to produce positive emotions before every point, independent of what is happening on court. Although a detailed treatise on creating positive emotions is beyond the scope of this chapter, the essence of the process is that you begin by having no emotion at all at the end of a point. (Don't allow anything that happens on court to shake you in any way.) Then, starting from an emotionally neutral position, you consciously and deliberately (through visualization, positive interpretation of events on court, self-exhortation, etc.) work to conjure up positive emotions before the next point starts. This will set the stage properly and increase your odds of playing well when the next point begins. Dr. Allen Fox earned a B.A. in physics and a Ph.D. in psychology from UCLA and is a former NCAA singles champion, Wimbledon quarterfinalist and a three-time member of the U.S. Davis Cup team. As coach at Pepperedine, his teams reached two NCAA finals and included the likes of Top 10 player Brad Gilbert. Dr. Fox consults with players on mental issues, lectures worldwide, appears in 1-Minute Clinics on the Tennis Channel, is an editor of Tennis Magazine and an author. You can reach him through his website at www.allenfoxtennis.net.